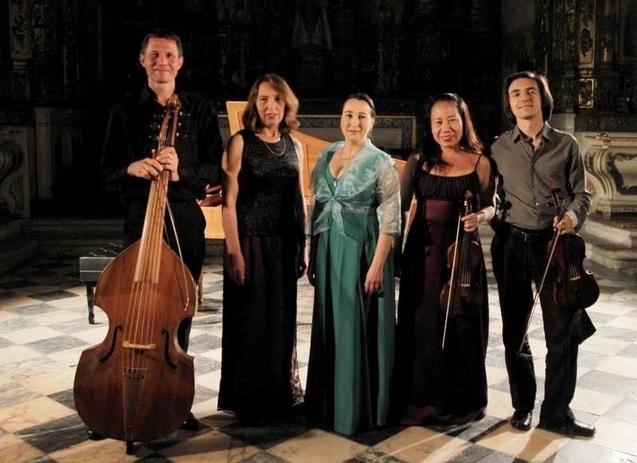 The Ensemble D. João V was formed as a result of the group work done by its members during the International Early Music Course, at the Convent of Christ in Tomar, in 2007, organized by the Academia de Música Antiga de Lisboa (Lisbon Academy of Early Music). The Ensemble consists of a group of musicians with extensive experience, dedicated to interpret and to promote the Baroque Period music using original instruments. With particular concern to divulge the Portuguese Baroque music, it also includes in its repertoire composers such as João Avondano, Carlos Seixas, António Teixeira, among others. Aiming at a specialized technical and artistic improvement, the Ensemble D. João V attended masterclasses under the guidance of eminent musicians such as Jill Feldmann, Richard Gwilt, Enrico Onofri, among others. Since its foundation it performed at the Convent of Christ in Tomar (as part of the Early Music courses), at music festivals in Albufeira, Portimão, Estoril and Alcobaça (Cistermusica), at the Iberian Festival of Music in Badajoz, at the Concert Series Música nos Claustros (Eborae Musica-Évora), at the concert season of the Great Hall of Lisbon’s National Conservatory, and in the Foyer of Sao Carlos National Theater (Lisbon). The structure of the Ensemble is flexible, depending on the repertoire it interprets on a given moment.